SpiritualityIs your life the Illusion of Density or the gift of Ascended Awareness? Is your life the Illusion of Density or the gift of Ascended Awareness? April 2016! 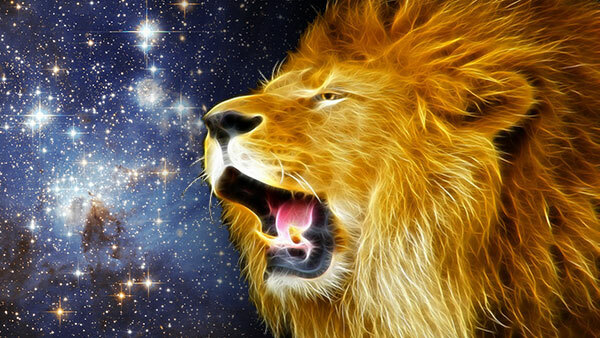 The roaring LION of powerful momentum is asking: ARE YOU READY to DIVE into your truth without doubt as you live the life you want? Or, are you standing at the precipice; afraid to leap into the unknown? The truth is that EVERYTHING is changing! The world is seemingly spinning out of control and Chaos keeps creeping to new heights! The political arena is in dissension and Earth’s climate more fragile with each passing day. Can all of humanity move forward and make the leap? TUNE in to this ILLUMINATING show as Sri & Kira offer light-filled guidance on the ILLUSION so you can easily navigate the impending storm with greater ease and grace. YOU ARE READY to live your dreams! NOW is the moment to CLAIM your abundant nature as you BOLDLY step forward with confidence and clarity. Tune in and discern more of the bigger picture! Call-in with your most heart-felt questions or comments or the gift of a Mini Soul Reading and allow your heart to awaken to the truth that you can co-create a life of Peace, Love and JOY! Are you living an illusion or are you living an ascended awareness? When things get enriched, it means that they start coming into a presence that is expanded. In April, it is going to be intense and the illusion is getting bigger. This is the fourth moment, the opening of the fourth point of the Metronian star. The fifth and final point opens in May. The mid-point of April, we are going to start feeling the pull of that of the final opening. If you are not clear, you’re gonna be in pain. Tweet this. The lack of clarity brings confusion, doubt, and fear. The deeper you get into the illusion with just a little of doubt, fear arises. And this would make you unstable. If you feel that you are becoming unstable, find something to keep you grounded. And these things could be anything, from family, to friends, etc. I want to take myself in an energy that feels safe because I am fearing the way that I am right now. Tweet this. The ego-based life has a very limited capacity for joy. Sustained joy, peace, love are the embodiment of soul based consciousness. And soul based consciousness is the birthright of every being on the planet. Soul based consciousness is who you are behind all of the illusionary pieces. Why would God allow negative things to happen? Because we are loved so much that we have the creative mastery to call in the healing through the drama. You have the capacity to create almost anything and the decision is creation is actually was made before your birth. You are in the process of your creation right now. Tweet this. Everything that happened in your life right now, you have created it. So if you’re feeling that you are not abundant, look at how powerful you are. A loss often times triggers awakening. Tweet this. These experiences that love gives us stimulates our ascension process. Release the judgment of the way you think things should be. Tweet this. If you are living in density then do it well. In order to lift into another state, another level, you have to dissolve the old one. Tweet this. In the dissolving, there is a moment of craziness or so it seems, when you are looking at it from another side or you are looking at it in the eyes of the ego which is fearful of change.